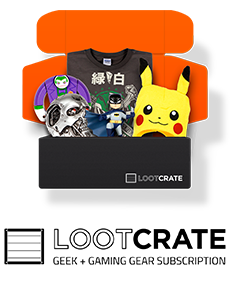 Alien Tower: What's so great about Logan? The Wolverine had the dark tone that fits a tragic character such as James Howlett (Logan), more so when the story takes place sometime after the events of X-Men: The Last Stand, in which Wolverine had no choice but to kill the one he loved. 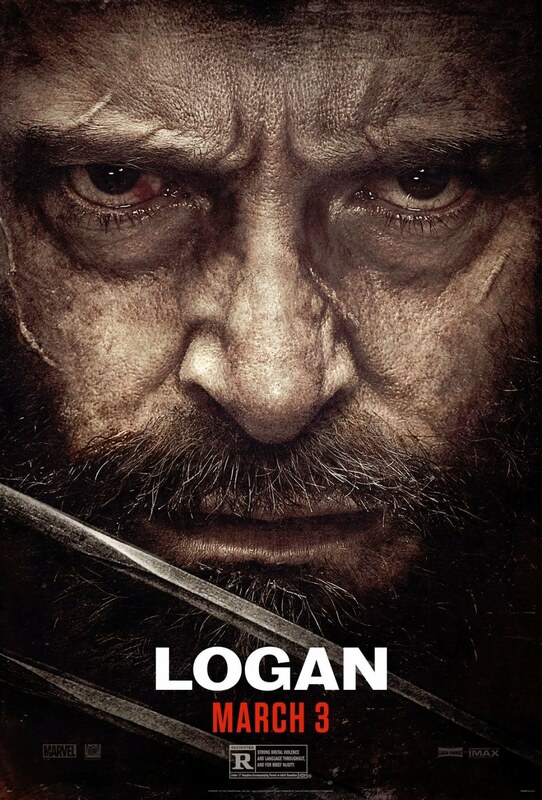 The story in The Wolverine was great from the very start, but lost focus at the very end. Fortunately, the movie redeemed itself with the director's cut on the home release versions, as they usually are. 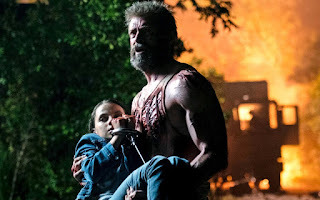 Basically, a more mature edit on Blu-ray was much better received by the public and critics than the theatrical version, and after the immense praise Deadpool has received with its deserving mature rating, Wolverine could now finally be portrayed fairly and raw. 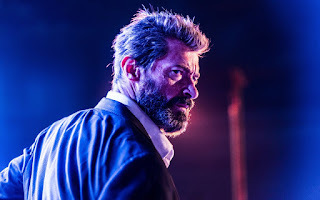 The big wigs at the top of 20th Century Fox finally had the courage to give James Mangold free reign over the movie and let him unleash his directorial vision. Logan simply wouldn't have worked with a lower rating. 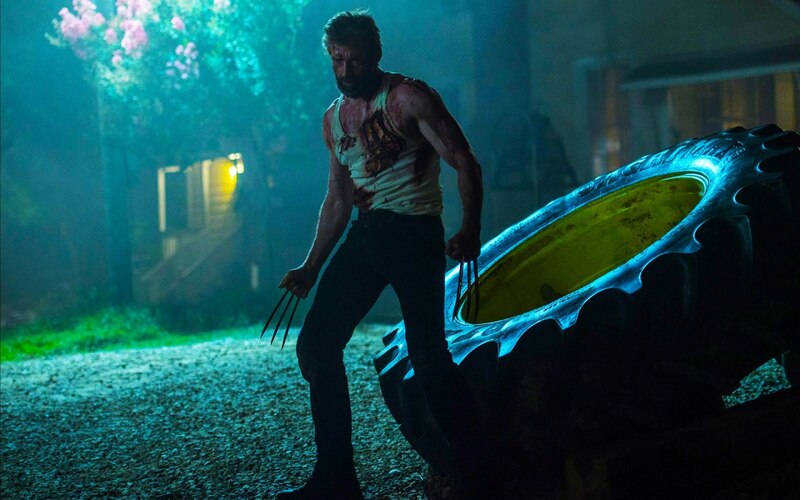 Wolverine is diseased, poisoned by the adamantium coating his bones, his body trenched by scars and bloody wounds that don't heal as well anymore, his claws get stuck in his flesh and when he has to kill anyone in this movie he does it because he's forced to, not because it looks cool, he even hesitates a couple of times. Xavier suffers from a debilitating mental condition and, as the antagonist puts it, that becomes a devastating force when combined with his immense psychic powers, not being able to control them. The movie also centers around experimenting on children and treating them as objects designed as weapons, instead of living creatures. It's not a spoiler since the whole story is about X-23, or Laura, a little girl who's juat like Wolverine in many ways. Another proof that the violence is not just for show is that Laura's origins story in the source material, the comic books, is even more depressing and awful, so at least we've been spared... that. Trust me. However, the movie is brutal in its depiction of violence because it has to be in order to accentuate the gruesome tone. Logan doesn't want to be Wolverine anymore, doesn't care about the fight between mutants and normals, there's no more X-Men to team up with, except for an old and sickly Xavier who turns out brought them to this depressing state. Depressing is key word. The movie starts depressing and it continues on that tone to the very end. Whenever there's a comedic moment, it comes naturaly from a well scripted dialogue or a well directed scene. 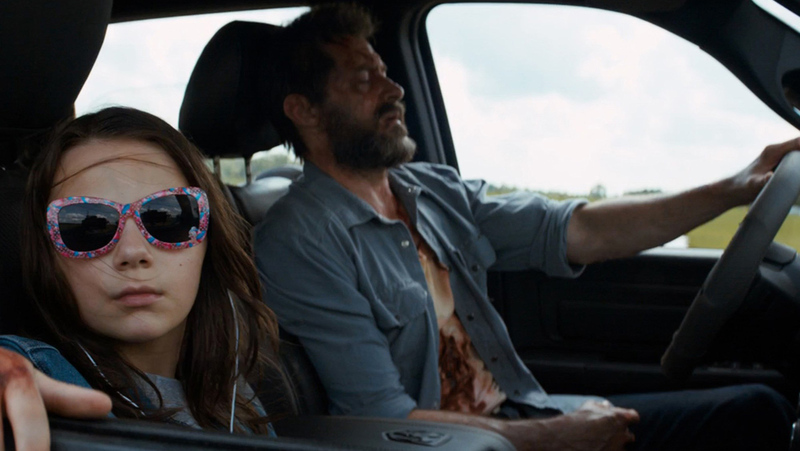 Like the metalic action in Mad Max Fury Road, Logan also being very similar to a road movie, instead of non-stop action, there's despair and whenever it slows down you know in the back of your mind that it's the calm before the storm. And it will not disappoint, in every good way. Logan succeeds in being a character driven story rather than an action driven one. 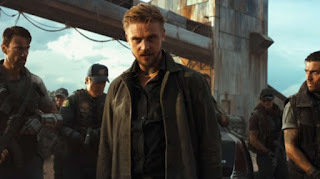 We already know these characters, although only three return here from the X-Men cinematic universe: Logan, Xavier and also Caliban, the weird albino mutant from X-Men: Apocalypse, played here by a different actor (Stephen Merchant). Yet the movie still spends time to establish the characters, but it does so in a very natural way, no blatant exposition, no awkward winks to the audience, we just learn what's happening in this world by simply following along. We spend a lot of time close to them and learn to understand their feelings, their suffering, and this is something amazing that I was really impressed by, the way every actor expresses emotion on screen is something I've rarely seen in a superhero movie. In fact, we're rarely reminded that it's a superhero movie. Wolverine fights because he needs to save the ones he cares about and becomes a hero because he has to do what's right, running away or not. While The Wolverine focused more on a blunt depiction of a superhero that has lost all faith, Logan doubles on that premise. 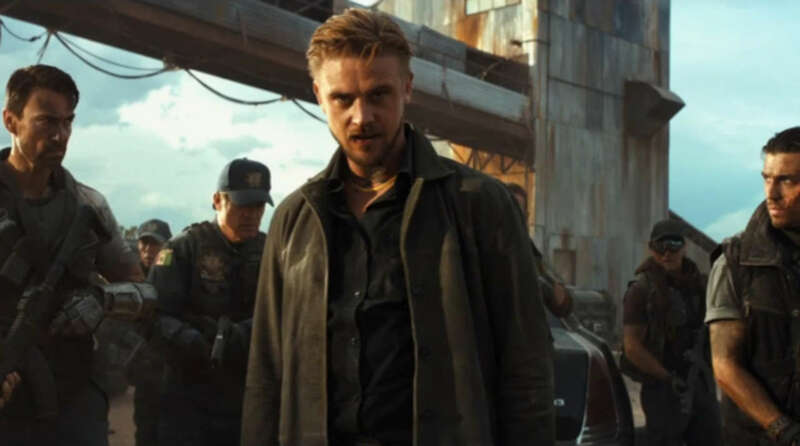 It works because the movie taps into areas other superhero movies put aside to make more room for explosions and fight scenes, while Mangold knows what's been done to death. Trying to ram a car through a chain fence and failing is an interesting twist on a tired old action trope. It might not be unique, but the scene is done very well, not in a comedic way either, but to keep the audience invested. Placing a barrier in front of our heroes, they need to change tactics and we root for them to escape the peril. There's hopelesness at every corner and just when you think there's nothing worse the bad guys can throw at our protagonists, you're proven wrong. Speaking of bad guys, the main antagonist may be only a lackey and not really even a powerful brute. In fact, even if he does some despicable things, he's smart, he really seems to want a peaceful resolve. The other antagonist, a scientist, also wants to achieve his goals effortlessly, but their actions, one in particular that I won't spoil, leads to a very violent and unexpected outcome and when it is revealed and everything goes to hell, they react in believable ways, they cowar, they hold their hands over their heads, they cringe and shudder like normal human beings do. It only saddens me that I can't talk about the most powerful reveals in the movie, one that was cleverly left out of any trailer, and I can't do that without spoiling the hell out of it. This movie is also about family, about acceptance and belonging. 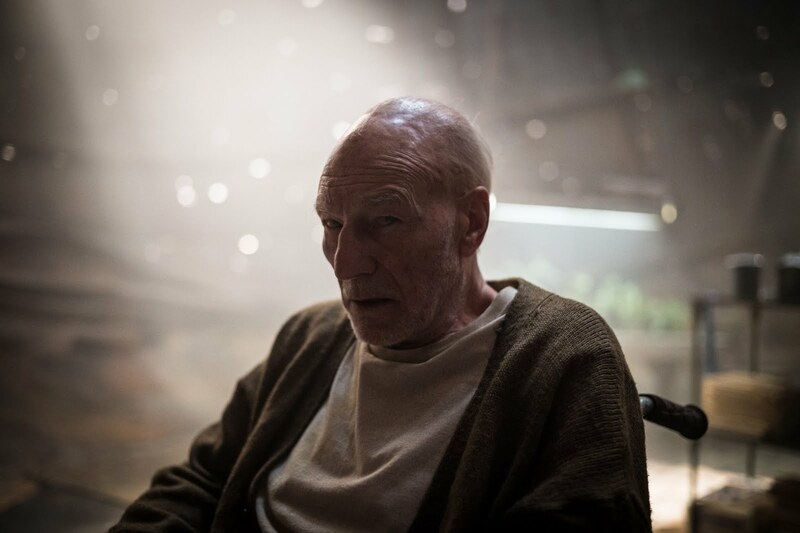 Logan sees Xavier as a father figure and Laura finds a father figure in Logan. Along the way, they meet a family and we get one of those classic dinner scenes. It's one of the most serene scenes in the movie. Hugh Jackman and Patrick Stewart have an amazing chemistry and they really give their best efforts in this beautiful send-off to these two beloved characters. It's nothing surprising, since they've been playing these characters for 17 years now. 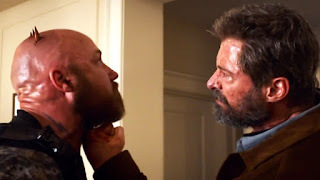 Their potrayals of Wolverine and Xavier are of iconic proportions and made them two of the most recognizeable fictional characters in movie history. 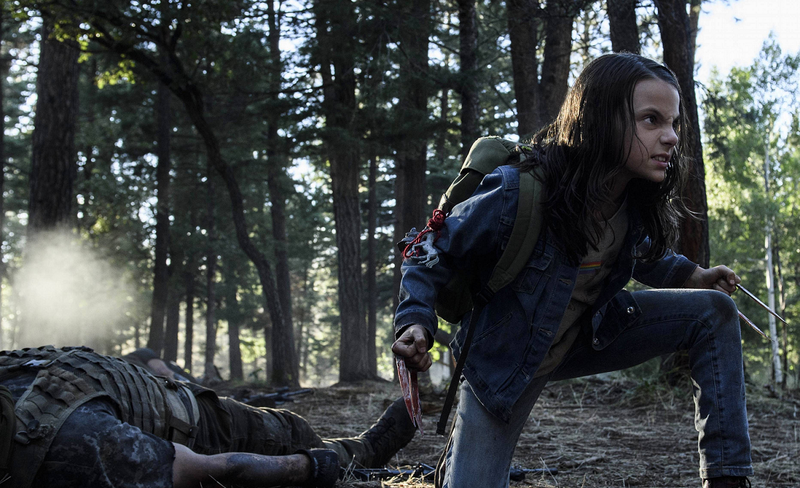 The little girl who plays Laura - Dafne Keen - makes an awesome impression, she really delivers that sense of badassery her character is all about and what she'll eventually become, since she's the one to take up Wolverine's mantle, it's unavoidable. I have to admit that I didn't care much about her talking, especially in spanish, but that reveal was made very lighthearted and I kinda got used to it. I liked her much when she didn't talk, made her character much more mysterious, but then the character isn't a mute and the ending scene wouldn't have been as powerful and gutwrenching otherwise. I do hope that Dafne Keen will be playing this character in the future as well and I hope she returns in a movie just as great as this one. James Mangold already promised a special edition black and white version of the movie for the home release. 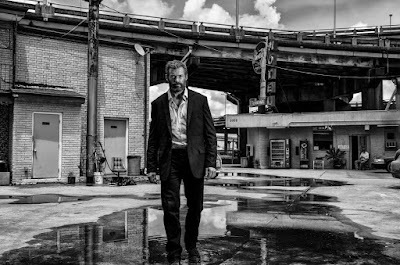 Logan has fantastic cinematography by John Mathieson, Ridley Scott's favorite cinematographer (Gladiator), there's a beautiful usage of color and composition, but I agree that a well composed black and white rendering can only complement the tone of the movie. Just like any other aspect or element of a movie, some things may work on certain movies just as well they would ruin other. For example, a bloody violent approach to movies like Spider-Man or Marvel's Avengers wouldn't have the same effect, it would be close to glorification and pointlesness, while for a movie like Batman it would do wonders. That goes the same with a black and white version. George Miller decided to release the Mad Max Fury Road Black & Chrome Edition, which not only strips the movie of its vibrant colours, but brings the soundtrack to the forefront, accentuating the artistic composition of a frenetic action movie. I don't find the fact that both Miller and Mangold decided to recreate a more artsy version of their respective (arguably) greatest works as coincidence. No matter how you or I feel about it, one way or another, Mad Max Fury Road was close to winning an Oscar, and that's no small feet for an 18+ rated action movie. 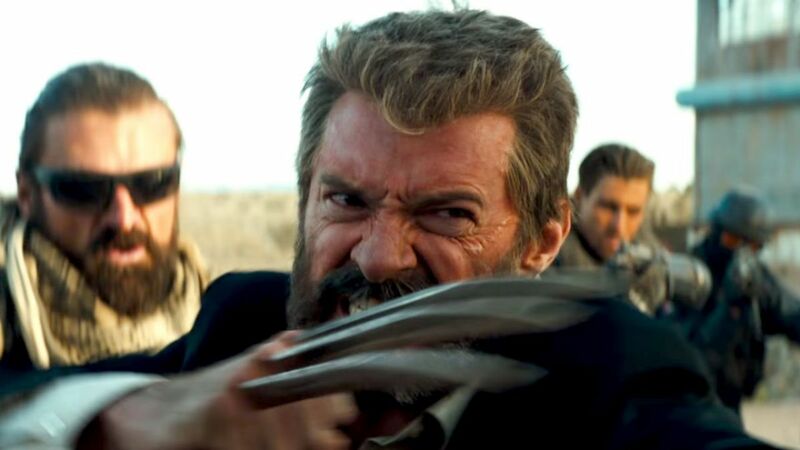 In my opinion, Logan deserves a chance at that just as well. It's that great.